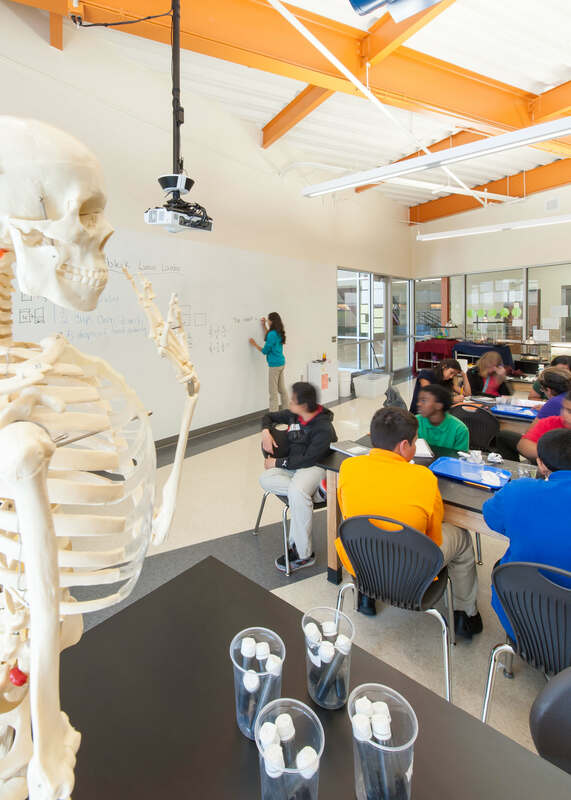 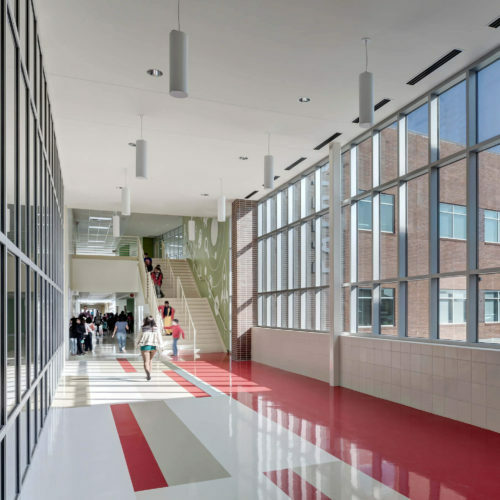 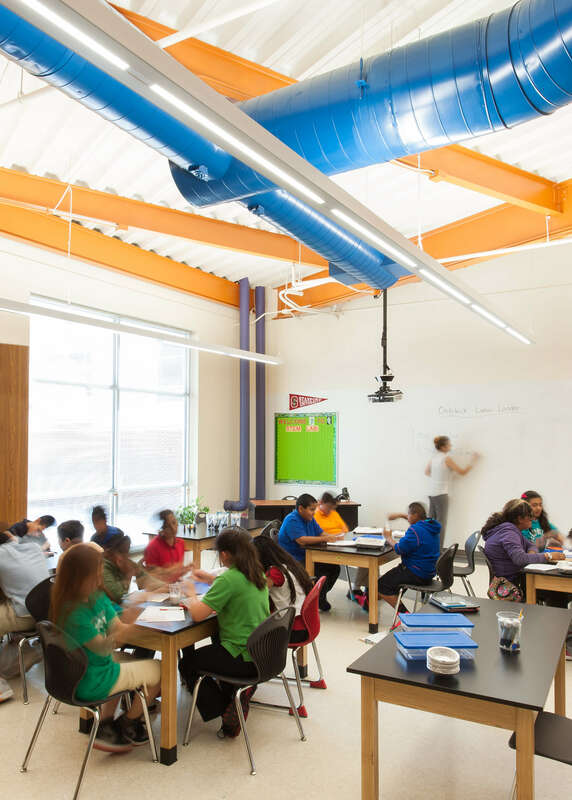 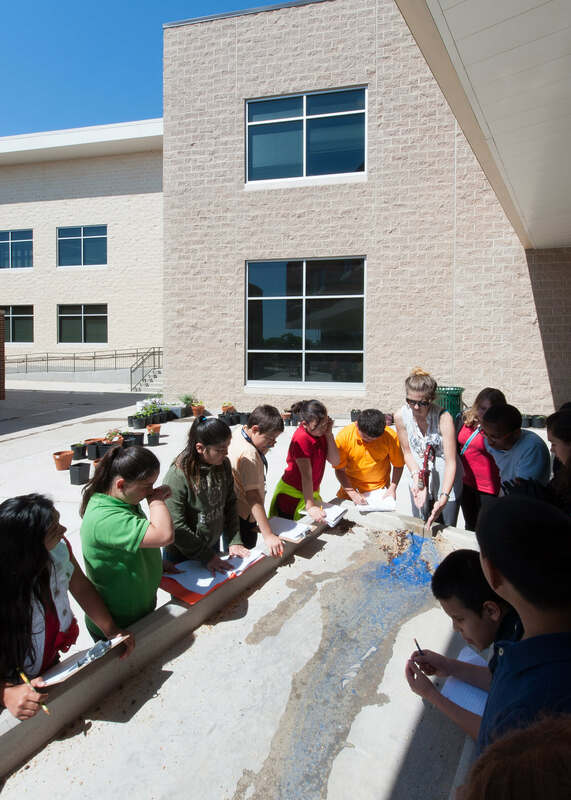 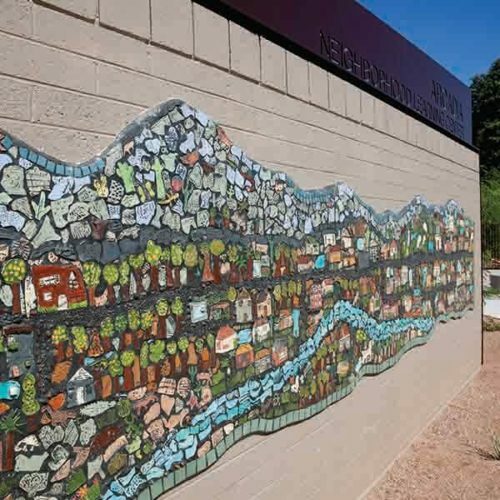 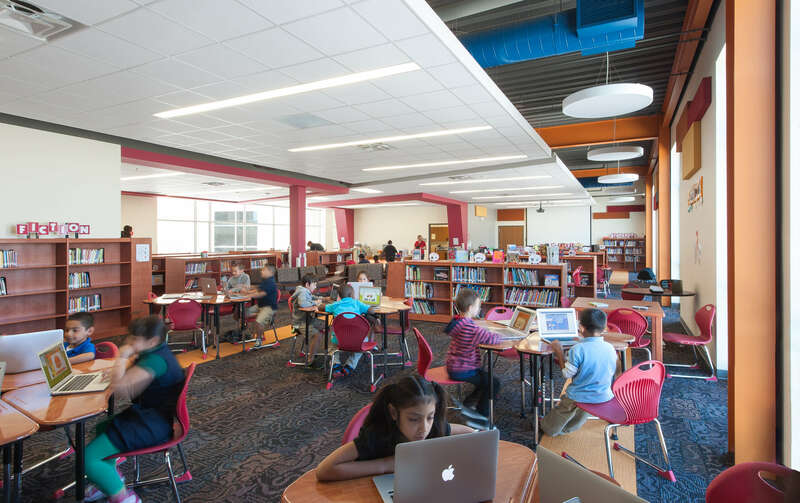 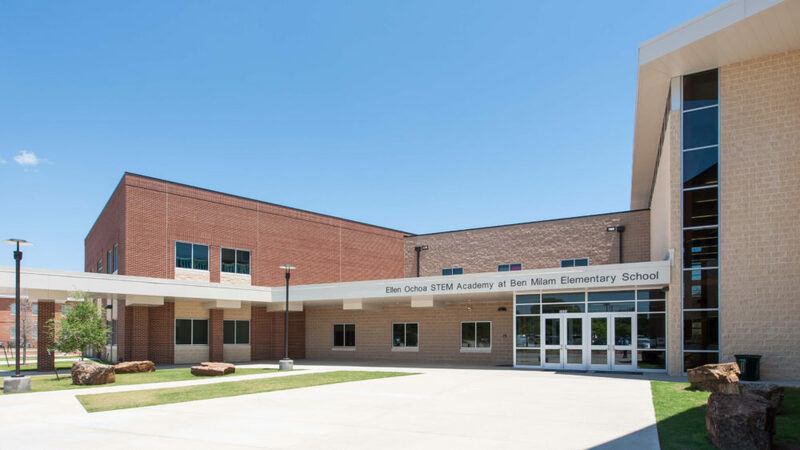 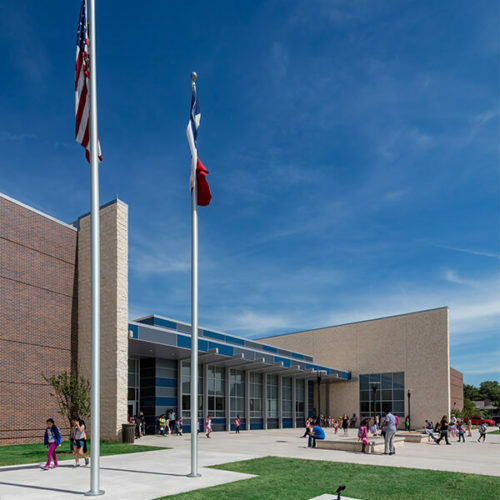 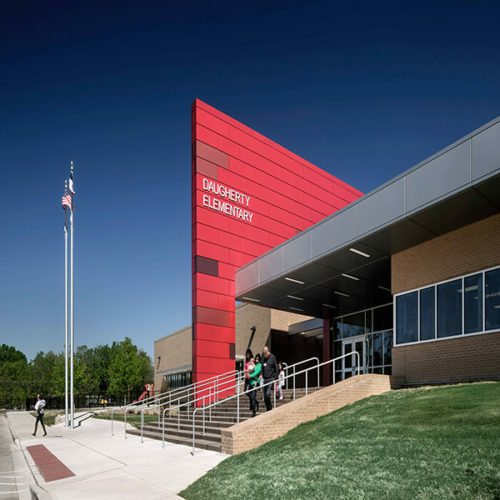 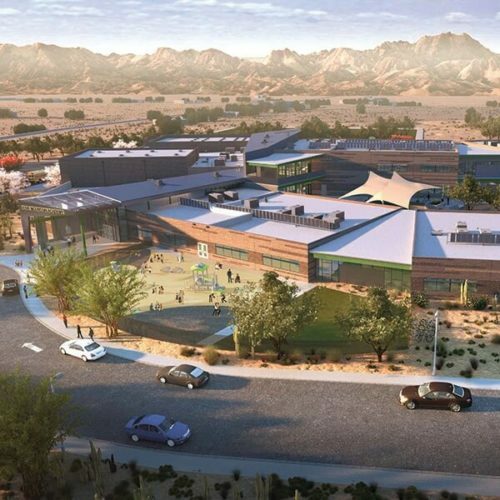 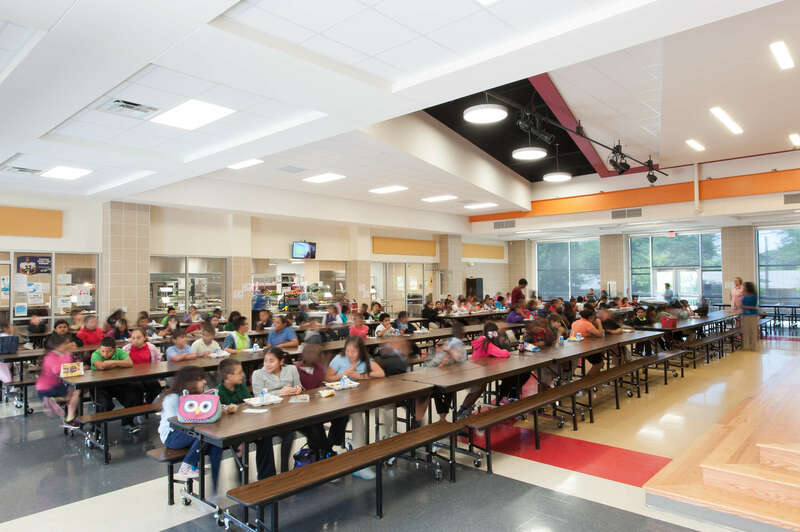 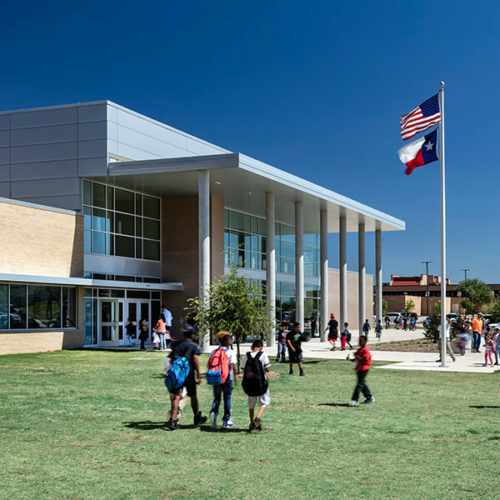 The design of the Ellen Ochoa STEM Academy (Science, Technology, Engineering and Math) provides an engaging environment for hands-on, project-based learning for pre-kindergarten through fifth grades. 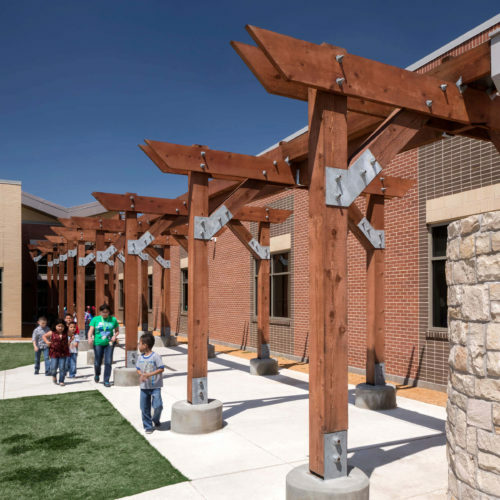 The structure and building systems are exposed to be used as teaching tools. 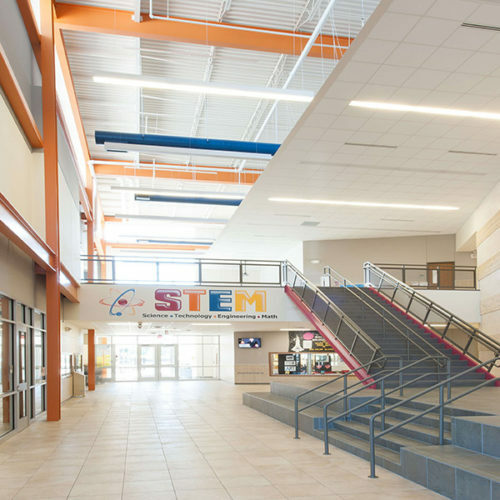 Collaboration areas surround a two-story atrium and central stair where projects can be discussed and exhibits displayed. Direct views from the main entry to the science and art classrooms and project courtyard put the core values of the school on display.